On Feb. 22, three citizens from the Republic of Georgia—a staunch U.S. partner in the South Caucasus—were detained by security forces in Russian-controlled South Ossetia, a region of Georgia under illegal occupation by Moscow since 2008. Sadly, one of the detainees, Archil Tatunashvili, 35, died after abuse and mistreatment in custody. 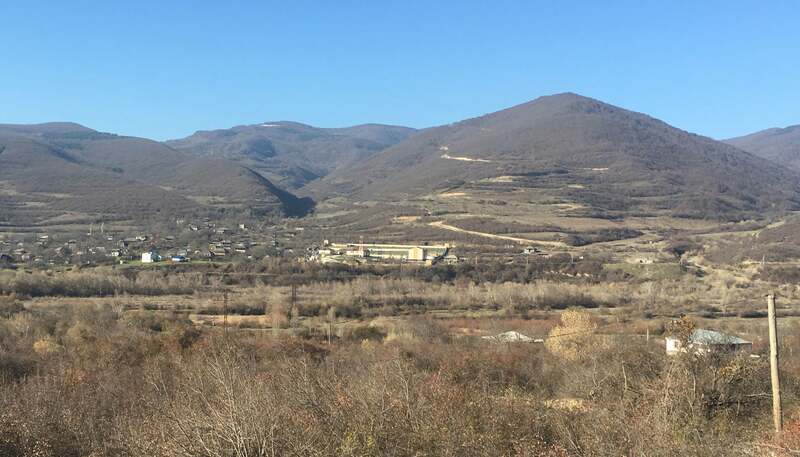 Making the situation worse, the Russian-backed authorities in South Ossetia have so far refused to hand over his body to his family. So what is Russia doing inside Georgia anyway? In August 2008, while the world was fixated on the Summer Olympics in Beijing, a Russian invasion force entered Georgia. Almost a decade later, thousands of Russian troops still occupy Abkhazia and South Ossetia (also referred to as the Tskhinvali Region), which together equal 20 percent of Georgia’s internationally recognized territory. The tragic case of Tatunashvili is the latest reminder of the threat Russia poses to its neighbors and America’s partners in the region. 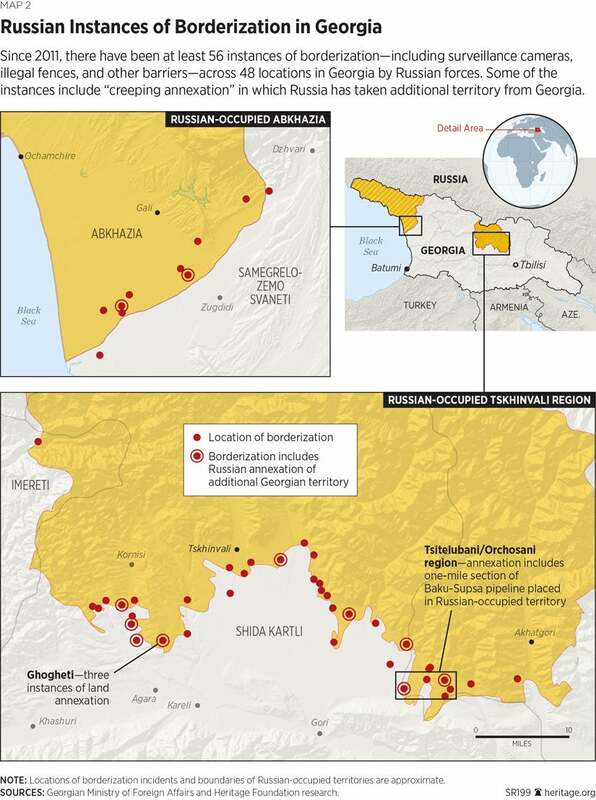 Since the 2008 invasion, South Ossetia and Abkhazia essentially have become large Russian military bases. Thousands of Russian troops and hundreds of tanks and armored vehicles are stationed in both regions. Not only do these Russian forces continue to threaten Georgia, they also threaten key transit links, railways, and pipelines linking the heart of Eurasia to Europe. The two occupied regions, which have since declared independence, depend wholly on Moscow for their security and economic well-being. The line of occupation on the Russian side is patrolled by security officials from the Federal Security Service (commonly referred to as the FSB), which is the successor to the Soviet Union’s KGB. On the Georgian-controlled side, an unarmed European Union Monitoring Mission conducts patrols. Even though the 2008 cease-fire agreement, which brought an end to the short war, allows the EU mission to enter the occupied side, Russia continues to prevent this. I have visited the line of occupation on at least a half-dozen occasions in different locations over the years. During these visits, I could clearly see the Russian-built military facilities with the Russian flag flying on what the international community considers to be Georgian territory. In recent years, Russia has increased tensions in Georgia. Since 2011, FSB and separatist forces have implemented a policy of “borderization” in Abkhazia and South Ossetia. This includes constructing illegal fencing and earthen barriers to separate communities and further divide the Georgian population. In some cases, Georgians have gone to bed in free Georgia only to wake up in occupied Georgia after Russia constructed a fence around their homes. Farmers have been divided from their crops. In other cases, villages are divided down the middle. Research carried out by The Heritage Foundation has found 56 incidents at 48 different locations of Russian borderization in Abkhazia and South Ossetia since 2011—an egregious attack on Georgia’s sovereignty and territorial integrity. It should not be forgotten that Russia invaded Georgia, not the other way around. Russia is the aggressor, and Georgia is the victim. Even with 20 percent of its territory under occupation, Georgia has proven itself to be a staunch and reliable ally in places like Iraq and Afghanistan. The United States supports Georgia’s sovereignty and territorial integrity within its internationally recognized borders, and under President Donald Trump, the United States of America will object to any claim at any time by any nation that undermines this enduring principle. It is in America’s interest that the South Caucasus remains stable and secure. The U.S. must lead international efforts to apply pressure on Russia to end its illegal occupation and to work with allies to pressure Russia to allow international monitors and humanitarian aid into the occupied regions. Russia’s imperialist behavior in Georgia has no place in the 21st century.